Botnets around the world have turned their attention from sending out spam emails to systematically hacking into WordPress installs; it’s a lucrative business given that WordPress powers 40% of all blogs. 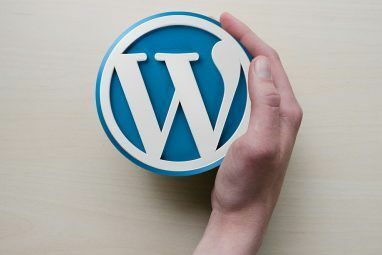 Especially considering that even we fell victim to this, it’s about time we did a comprehensive post on exactly how to protect your self-hosted WordPress install. Thankfully, you can restrict two-step authentication to only be used on upper level accounts so you needn’t annoy all your users. An old plugin, but still working as intended; Login Lockdown checks the IP of login attempts and blocks an IP range for an hour if it fails 3 times within 5 minutes. Simple, effective. 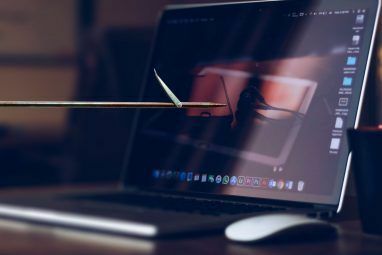 Hackers won’t just change one file, but will place their own control panel hidden somewhere and other hidden backdoors – so that even if you fix the original hack, they come right back in and do it all again. Take daily or weekly backups so you can easily restore back to a point where there was no trace of the hacker – and be sure to patch whatever it was they did to get in. Personally, I just invested in a $150 Backup Buddy developer license – it’s the easiest and most comprehensive backup solution I’ve found yet. Check the root of your WordPress installation for the .htaccess file (notice the period at the beginning – you may need to show invisible files to view this), and ensure it has the following line. If not, add it – but make a backup first as this file is pretty crucial. Don’t make the same mistake as we did: always upgrade WordPress as soon as an update is available. Sometimes the updates contain minor bug fixes and not security fixes, but get into the habit and you won’t have a problem. If you have more than one WordPress install and can’t keep track of them all, check out ManageWp.com, a premium dashboard for all your blogs that includes security scanning. 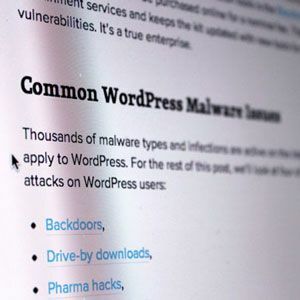 Not just core WordPress files, but plugins too: one of the largest WordPress hacks of the past involved a vulnerability in a common thumbnail generator script called timthumb.php, and there are still themes out there which use the old version. Although plugins were quickly updated, keeping themes up to date is harder, of course – WordPress won’t tell you if your theme is vulnerable, and for that you’ll some kind of security scanning plugin – scroll down to the Security Plugins section below for some suggestions. Unless you know what you’re doing with PHP code, it’s very easy to fall into the trap of download a lovely random theme from somewhere, only to find it’s got some nasty code in there – most commonly backlinks that you can’t remove, but worse can be found. Stick to premium and well-known theme designers (such as Smashing Magazine or WPShower), or for free themes only use the WordPress theme directory. 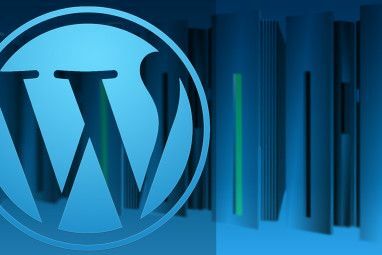 By default, WordPress broadcast its version to the world in the code of your header file – an easy way for hackers to identify older installs. Add the following lines to your theme’s functions.php file to remove the WordPress version, Windows Live Writer info and a line that helps remote clients find your XML-RPC file. Or just use the reallyLongSentenceThatsEasyToRememberMethod. For those who don’t like to login through FTP, WordPress includes an easy editor in the admin dashboard for theme and plugin PHP files – but that makes your install vulnerable if someone gains access. In fact, this is how someone managed to inject a malware redirection into our header. Add the following line to the bottom of your wp-config.php (in the root folder) to disable all file editing features – and use SFTP What SSH Is & How It's Different From FTP [Technology Explained] What SSH Is & How It's Different From FTP [Technology Explained] Read More to login to your server instead. As well as speeding up your site, CloudFlare mitigates many known botnets and scanners from even getting to your blog in the first place. Read all about CloudFlare Protect & Speed Up Your Website For Free with CloudFlare Protect & Speed Up Your Website For Free with CloudFlare CloudFlare is an intriguing start-up from the creators of Project Honey Pot that claims to protect your website from spammers, bots and other evil web monsters - as well as speed up your site somewhat... Read More here. Installation is one click if you’re hosted at MediaTemple, otherwise you’ll need access to the domain control panel to change the nameservers. Better WP Security implements many of these fixes for you and is the most comprehensive free solution there is. WordFence is a premium package that actively scans your files for malware links, redirects, known vulnerabilities etc – and fixes them. Price starts at $18/year for 1 site. Login security solution both limits login attempts and enforces secure passwords. BulletProof security is a comprehensive but complex plugin that deals with some of the more technical aspects like XSS injection and .htaccess problems. A Pro verison of the plugin is also available which automates much of the process. Doing those alone should put you above 99% of all the other blogs out there, which is enough to make potential hackers move on to easier targets. Do you think I missed anything? Tell me in the comments. Explore more about: Online Security, Web Development, Webmaster Tools, Wordpress. You don't mention adding security keys to the config.php file. Sure, if you're doing it to an existing installation, it forces users to logout login again but it's one of things recommended in the WP codex. Check it out. Hi Grace. Setting security keys has not been needed since quite a few versions past: unique keys are automatically generated on install. I'm scared when a new WordPress security hole is found, considering millions of web pages around the world that are based on it!